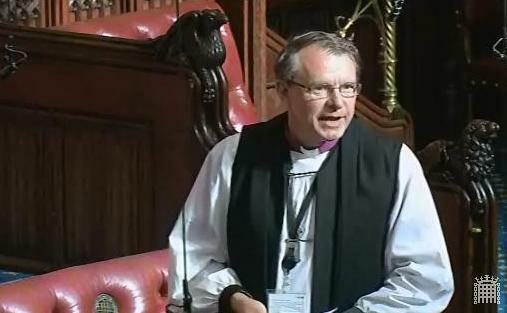 On 10th June 2014 the Bishop of Durham, Rt Rev Paul Butler, gave his maiden speech to the House of Lords, during the debate on the Queen’s Speech. 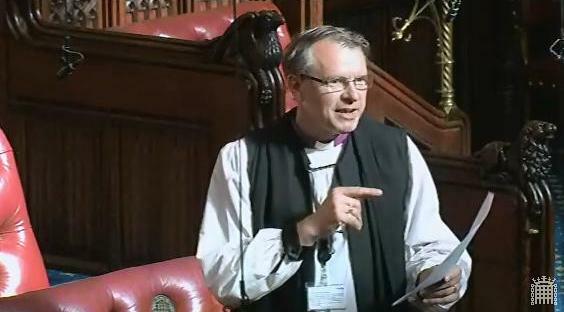 The Bishop spoke about the attributes and needs of the Durham diocese, his experience of the global church, and his concern for young people’s social and economic welfare. He voiced his support for the Living Wage and plans within the Queen’s Speech for laws to tackle the emotional abuse of children. 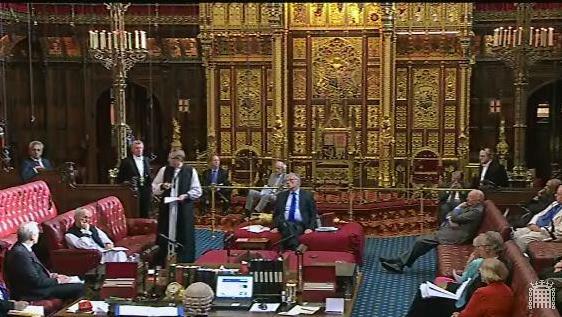 The Lord Bishop of Durham (Maiden Speech): My Lords, I begin by thanking your Lordships for the way in which I have been welcomed and supported as I have entered this noble House. That support has been full of wisdom, including guiding this Bishop as to how to kneel correctly during Prayers, for which I was extremely grateful. I am told that I am a rare breed; I am twice summonsed to this House. Last autumn, I was still serving as the Bishop of Southwell and Nottingham when I received my summons to enter this House. However, it was just before Christmas and I had stopped actively working in Southwell and Nottingham. By a bit of devious working of my diary and guidance from certain staff in this place, we worked out that I could not accept the summons. I had to leave on 20 January, when I was elected and formally confirmed as the Bishop of Durham. Now I am here as the Bishop of Durham and I serve a wonderful area, from the Tyne in the north to the Tees in the south. We have the wonderful Teesdale and Weardale in the west and beautiful coastline in the east—at least, it is beautiful now that the coal dust has been cleaned up. We have the brilliance of Durham city with what is—in Bill Bryson’s words, not mine—the world’s finest cathedral. It is a wonderful area in which to serve and I am proud to do so. However, I have to add that 30% of the parishes in which I serve are among the 10% most deprived parishes in England. That is the level of poverty which we also have to tackle in the north-east. I am the 74th Bishop of Durham, and I am very grateful to my friend the most reverend Primate the Archbishop of Canterbury for being here today. One of the proudest days of my life happened in the summer of 1977. It was my graduation day from Nottingham University, where I studied English and history. It was not my graduation that I want to point out, though, but my granddad, Granddad Giddy. After the ceremony, he took hold of my mortar board, put it on his head, took my certificate in his hand and pointed to it, saying to me quietly with a tear in his eye, not something that my granddad did very often, “This is why I left Cornwall when I was 17 years old. I left for a better life, not for myself but for my wife, my children and my grandchildren”. I was the first person in my family ever to go to university and get a degree, and this was the fulfilment of my granddad’s hopes and aspirations. It was not a question of what he had achieved in the Metropolitan Police, which he had joined because he believed in public service and serving the common good and in which he had risen to the level of superintendent; no, it was about the wider family and the common good that he was most concerned. When I talk to young people in the north-east now, I am both inspired and deeply concerned. The vast bulk of children and young people in this country are fantastic; they are brilliant, they work hard, they want to achieve and are polite and engaging. It is a very small number who cause us slight anxiety. However, young people in schools and colleges tell me of their concern that they will never work, or certainly that they will never get work that they believe is fulfilling or is in the area where they want to work. They see their older siblings and friends not finding meaningful work that they really want to pursue. That concerns me deeply. Some have lost all hope and aspiration long before the end of school, and certainly before the end of college or university. They have been told that their value and contribution to the world is in work and their economic contribution. They have been told a lie. Their worth and contribution is in being great human beings, which is not necessarily always worked out in paid employment. We have to help our young people to understand their true value as human beings first and foremost—but yes, we have to help them to find good, meaningful work. The noble Lord, Lord Bamford, made excellent points in his maiden speech about manufacturing. The north-east makes a massively significant contribution to the life of this nation: £14 billion worth of exports every year. We are the only region with a positive balance of trade in the export market. Yet I regularly hear people in business, local government and local communities say that they feel not listened to or even forgotten. There is great news on employment: Nissan continues to be hugely significant for Sunderland and the region; we are the world leaders in the developing sub-sea exploration sector; Hitachi’s new train production factory is bringing new jobs; Rolls-Royce has just opened something; and there are other signs of hope. Proposals around apprenticeships and encouraging small and medium-sized businesses are hugely welcome. So, too, is the proposal to be tougher on firms not paying the minimum wage. However, there is much concern in my region that apprenticeships are established in a way that ensures they really do turn into long-term jobs. Small and medium-sized businesses, often family ones, need greater encouragement to take the leap of taking on apprentices, for it is this sector that is really going to create the new jobs that we need. While the minimum wage proposals are welcome, I hope that in the longer term more serious consideration will be given to implementing the living wage. It was my privilege to announce the new national living wage in Nottingham last autumn. I look forward to the forthcoming report of the Living Wage Commission, and I hope that it will be taken deeply seriously. Assisting people to move away from welfare dependency, which must be a laudable aim, would be greatly helped by ensuring that decent wages were paid to all and by continually helping with the creation of new jobs in every part of this nation. I have a passionate concern for children and young people; I have had a lifelong engagement with them as a volunteer and now in my calling. I serve as the bishops’ advocate for children and as co-chair of the Church of England and Methodist safeguarding work. I also serve as a patron of the Prince of Wales’s Step Up to Serve campaign, encouraging young people into volunteering. My safeguarding role means that I take a very close interest in all matters relating to safeguarding and child welfare. This work is challenging for us all, and within the church we continue to have to face up to not only our current responsibilities but, in some areas, our serious past failures. It is very uncomfortable work. I welcome the proposals in the Serious Crime Bill to tackle the question of the systematic emotional abuse of children. The impact is horrendous, and I promise to work hard on this. I am grateful that the Government have had the courage in the gracious Speech to tackle this issue at last. Before concluding, I would fail to introduce myself properly if I did not refer to my engagement in the wider world through the Scripture Union and the Church Mission Society, my time as a vicar in east London and as Bishop of Southampton, of Southwell and Nottingham and now of Durham. I have had the particular privilege of visiting many countries but particularly Rwanda and Burundi. In Rwanda, memorably, there were no plastic carrier bags anywhere; it has banned them completely. They even take them off you as you enter the country. I have learnt a great deal from Christian Aid and others about working in the aid field. Last summer I was privileged to take three Members of the other place on a visit to those two nations. We learnt a great deal about each other, I can tell you. What impressed us most was local communities taking responsibility for themselves, working hard on reconciliation at every level and seeking to build a better future from the bottom up, not waiting for people to do it from the top down. We have a great deal to learn from the poorest nations of the world. 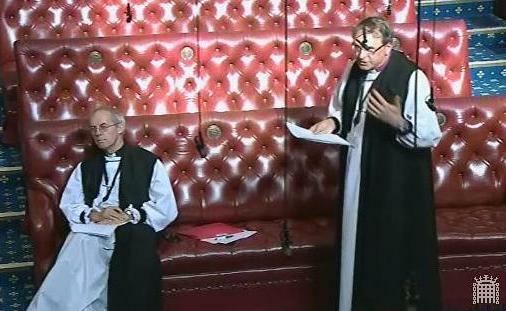 I look forward to serving with your Lordships in the work of this House. From the person doing their shopping stopping me in the street to local community and local government leaders, head teachers, principals of colleges, university vice-chancellors and key business people all across my diocese, I have been given a very clear message about my role in this House: “Bishop”, they all say, “speak up for us here in the north-east. You can speak up for us in a way that very few can. Please try to help them in Parliament to listen to all the good things in the north-east, and to hear our needs”. They expect me to speak for the whole community, and that is what I will seek to do. 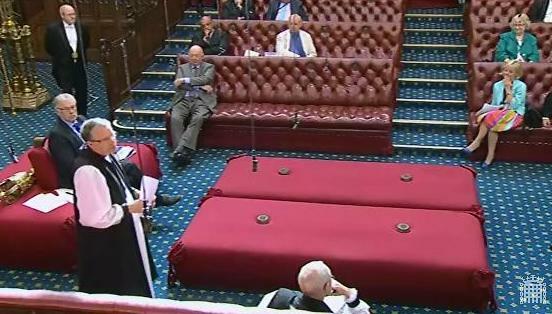 Lord Bhattacharyya (Lab) [Extract]: My Lords, it is a pleasure to speak in this debate and to have heard the outstanding speech by the noble Lord, Lord Bamford. It is an even greater pleasure to follow the right reverend Prelate the Bishop of Durham. On his arrival in Durham, he made it a priority to take the church’s message into the most difficult, challenging and inaccessible places. No wonder, then, that he has arrived in your Lordships’ House. “Half church of God, half castle ’gainst the Scot”. Whatever happens in Scotland this year, I am sure that he will focus on the first description, not the second.